Bariatric surgery is one of the most common methods of taking control of obesity. The weight loss from surgery can be dramatic and not every patient is a good candidate for weight loss surgery. Even the individuals that are good candidates for the surgery can often benefit from a preoperative psychosocial evaluation. Not all patients are required to take part in a preoperative evaluation by a professional according to the National Institutes of Health Consensus Panel. However, it should be available where appropriately indicated. For many, this choice is made by the insurance company that is paying for the surgery or by the bariatric program itself. In fact, at least 80% of the programs now require an evaluation prior to surgery. A preoperative evaluation can help doctors to identify potential problems that could stand in the way of the individual finding a successful outcome with the surgery. Patients that have eating disorders can often find help stemming from an evaluation that will allow the surgery to fully take hold and be of benefit to the patient. It gives the patients the opportunity to learn how to cope with some of their food-related behaviors after the surgery has been completed. Preoperative evaluations can also be useful tools in helping patients address potential issues they will have after the surgery such as making lifestyle changes and accepting their new body after the weight loss. The professional can help the patient to understand what to expect and be prepared with how to manage the problems and questions that they might face along the way. The professional can help the individual learn how to deal with others views and opinions of their decision to have the surgery as well as their responses to the rapid weight loss and change in habits that will follow. The goal of the medical staff and the therapists is to help the patient succeed in their weight loss efforts. Using a preoperative evaluation to address issues that could derail the success of the surgery is the best way to work toward a fast recovery. While a nutritionist will help the patient to understand how to manage their food intake and the surgeon will discuss the particulars of the surgical procedure, the therapist will work with the patient to discuss the mental and social changes that they will likely experience before and after the surgery. 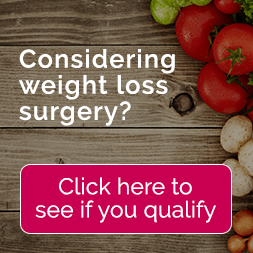 Since bariatric surgery is such a particular field and for many has an emotional component, a specialist skilled and experienced in this type of case is essential to the success. Every patient is going to have a different need when it comes to their social and psychological evaluation. Once the surgery has been completed there may be some additional work to be done for the therapist and the patient. While they may be prepared for the changes in lifestyle, there are some things that will need to be addressed after the surgery. One point of panic or despair for patients is the excess and loose skin that left after extreme weight loss. There are a number of issues that patients might face with how they deal with other people, especially if the individual was morbidly obese in the beginning. Establishing the confidence to embrace new relationships and be proud of their new body can be an emotional challenge for many patients. Losing weight through bariatric surgery is more than a physical alteration. Patients that are obese have several psychological issues that they will face, before and after the surgery. Learning to live life differently to maintain their weight loss can be complicated in more ways than physical. A therapist can help with these details and work with a patient to stay on track for good health.